getting the fuel system up to at least starting and running in place. cleaned out lines with a lacquer thinner wash and soak. cleaning out tanks next week. 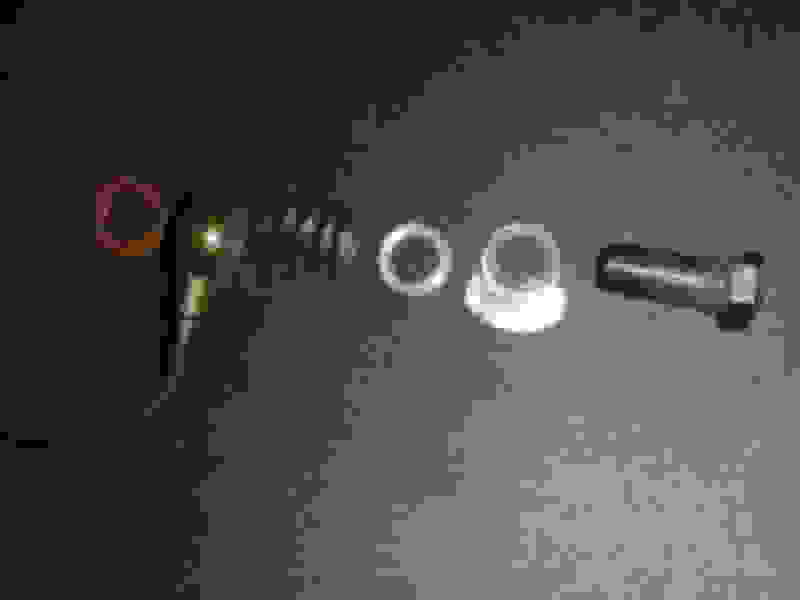 so pulling off the float chamber caps, i found the bowls and floats to be pristine as well as the internal screens, unlike the pumps which were very ugly. the external glass bowled filter had a good 1/8" of varnish in a semi-solid state in it! pic shows the exploded order of overflow pipe parts as i found them on car. manual does not show this spring in the assembly of the overflow pipes. did PO get it wrong? it doesn't really fit over or inside any of the parts and seems all wrong to me. I've never seen a spring in that assembly, and any diagrams or kits from Burlen Carbs, don't show a spring. The spring would defeat the purpose of the pipe, since if fuel did over flow, it would easily leak out all over around the spring rather then flowing through the pipe. There is a spring that goes into the top of the float chamber lids that hold that filter in place, but the spring in your photo looks to big and heavy for that purpose. In some filter arrangements in the glass bowl, a spring is used to hold the filter in place, that spring looks about the right size and tension for that, but still maybe a little big. Last edited by JeffR1; 01-27-2019 at 04:28 PM. the cone shaped float chamber filter screen is intacted with it's holding spring in place as well. just a little present from the dreaded PO i guess. arrrgh! As it should be Glyn, I can't imagine why someone stick a spring in that area. That looks like the main jet spring. 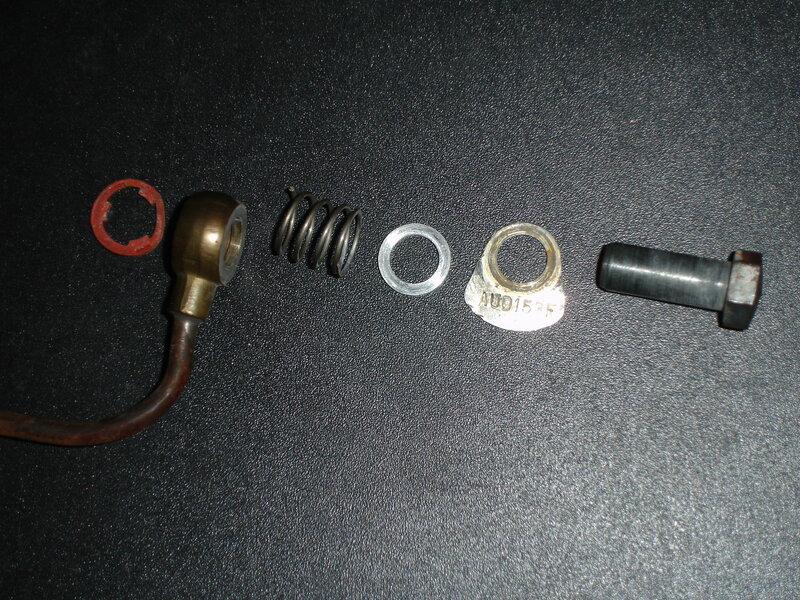 Pull the bottom off the carb body, and check to see there is a spring sitting under the metal part of the jet. Too short for the main jet spring, it's also been cut down from what was original by the look of it, most springs have the last winding flattened together like one end of the spring in the picture, but not the other which looks like it has been cut off. I would love to see how that was put together at any point, not a chance of it sealing, if the PO put it on there they never ran fuel through it ! Hi - I've seen this spring nonsense before. A long time ago I had some clown rebuild a set of HD8's on a Mk 10 manifold for me because I didn't have a garage at the time and all my carb tools were in storage. He shipped me the carbs and manifold assembled with those springs in the position of where the overflow pipe banjo would be and shipped the overflow pipes separately to avoid damaging them. He did it to keep the bowl cover and everything from bouncing around during shipment since the banjo bolt bottoms out on the stud before it gets down to the cover so it all would be loose without that spring. I'd bet you that the same guy that rebuilt my set did the PO's set on this car and the PO didn't realize those springs aren't supposed to be there and just assembled it like that. The re-builder didn't include any kind of note saying those springs were for shipping purposes so maybe the PO didn't know it and just re-installed it. Last edited by rustfreemike; 01-31-2019 at 01:30 PM. Oh dear, hindsight is such a wonderful thing. 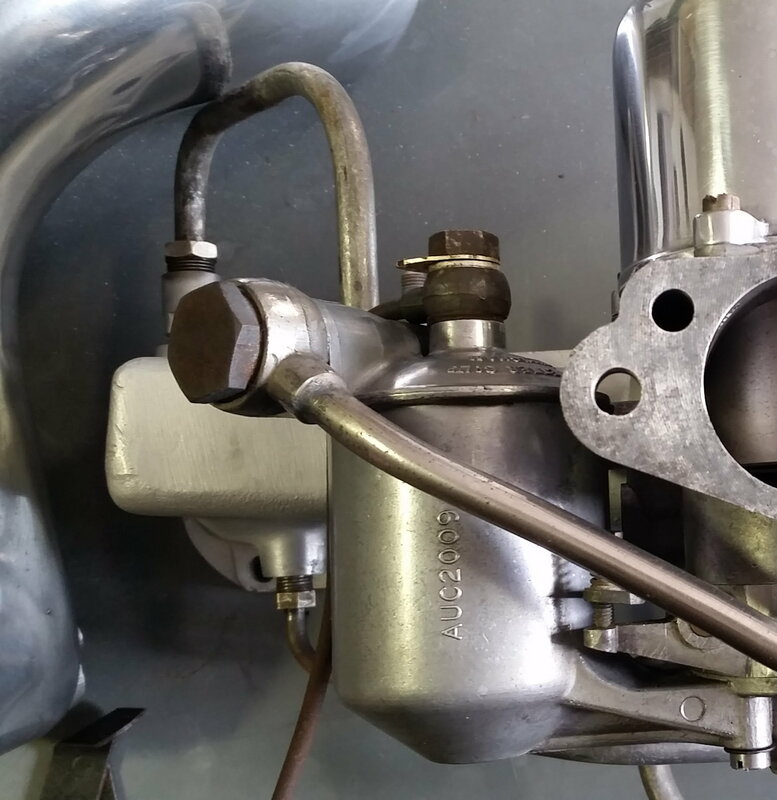 What kind of carburetors are these? Paging People Knowledgeable About Bikes and/or Carburetors - HELP!